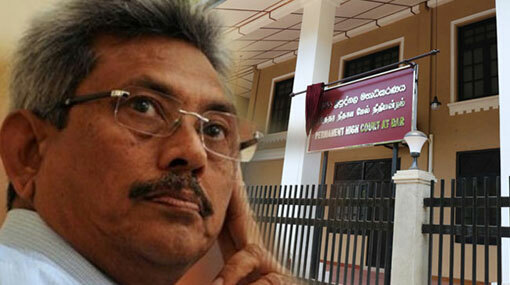 Former Defense Secretary Gotabaya Rajapaksa arrived at the Permanent High Court-at-Bar this morning (9) for the hearing of the case regarding the DA Rajapaksa museum, said Ada Derana reporter. The case was filed against Rajapaksa over the alleged misappropriation of state funds when building the D.A. Rajapaksa Museum. The Attorney General’s Department filed the indictments on August 24th based on the investigation carried out by the Police Financial Crimes Investigation Division (FCID). The seven defendants named in the case including the former Defense Secretary are charged over the misuse of state funds amounting to Rs 49 million when constructing the D.A. Rajapaksa Museum and Memorial in Medamulana.